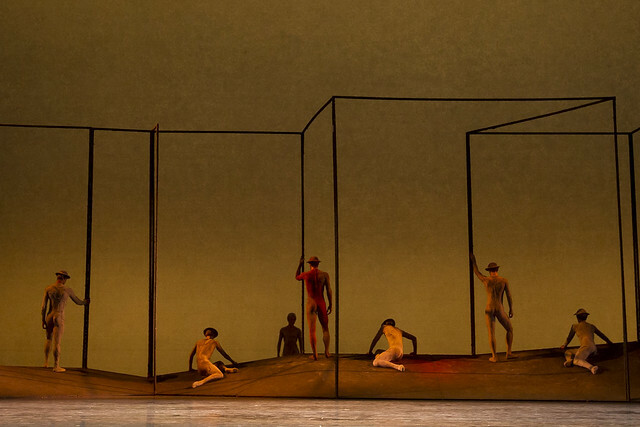 Kenneth MacMillan's Gloria is a profoundly moving response to World War I. 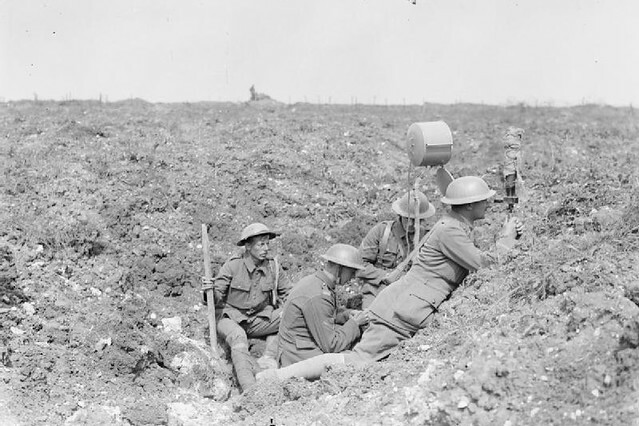 The opening image instantly evokes familiar images of soldiers at Passchendaele or the Somme – men, silhouetted, the distinctive profile of their Brodie helmets clearly visible. But the choreography itself speaks powerfully of the consequences of war and the anguish of loss. MacMillan's wife Deborah has spoken of how throughout MacMillan's career he had sought to create a ballet in response to war. It wasn't until quite late in his life, in 1979, that MacMillan encountered the spur that would lead to Gloria. A BBC TV dramatization of Vera Brittain's Testament of Youth inspired MacMillan with its elegiac tribute to the lost generation, told through Brittain's own experiences of working as a nurse and of losing both her brother and her fiancé to the conflict. Brittain's story is clearly represented in MacMillan's choreography, through limpid pas de deux and an excoriating, intense pas de trois, where the central woman holds the two men close to her. William never spoke to his family of his wartime experiences. He had enlisted in May 1915, at the age of 24, as a gunner with the Highland Fifth Royal Garrison Artillery. He was caught in a mustard gas-attack at the Battle of the Somme, which left him with lifelong pulmonary problems and sores on his face and neck. William nursed an intense contempt for the Army authorities, refusing further treatment or a disability pension after his discharge in 1919. He often spoke of moving his family to the Soviet Union. Kenneth later remembered his father forbidding him or his brother from joining the Scouts – his only explanation that he didn't want his sons wearing uniforms. Many have suggested that Brittain's study of the Great War and its after-effects enabled MacMillan to begin to understand the horrors that his father had experienced, and to begin to unfold the guilt he had associated with his relationship with his father. There's anger in Gloria – the moment in the pas de trois where the three soloists point at the audience, a gesture that recalls the Lord Kitchener enlistment posters while also carrying a clear edge of accusation. There's pessimism too, in the moment where the corps de ballet gather in circular movements, a representation of the unending cycle of peace and war. But MacMillan's choreography also expresses tenderness, yearning and love in movements of intimate beauty. The sadness and horror expressed in Gloria is matched by a profound sense of humanity. Gloria is a poignant tribute both to the fallen and to those left behind. MacMillan was able to invest his unique choreographic language with a deeply felt emotion. The result is one of his masterpieces, and a true act of remembrance. Gloria appears in a mixed programme from The Royal Ballet that also features Rhapsody and Tetractys – The Art of Fugue. Performances run 7–15 February 2014. Tickets are still available. Article extremely interesting. I loved 'Gloria' set to Poulenc Gloria which I know extremely well. I attended the dress rehearsal and would really have appreciated a couple of paragraphs in the programme sheet to explain the background to the ballet. I would have enhanced ny understanding and therefore enjoyment enormously. This is a general comment and request for rehearsal programmes, for both ballet and opera, but particularly important for a ballet which one doesn't know or for productions which take an unusual approach viz recent Eugene Onegin. Such notes are provided fir cinema screenings so why not for rehearsals? Please take note! Thanks for your message, and I'm glad you enjoyed Gloria. To ensure the red programme content is as complete as possible – particularly important when there is a world premiere, as with Tetractys – The Art of Fugue in this mixed programme – the red programmes are sent to print at the latest possible moment to arrive in time for the first performance. It is therefore, unfortunately, not possible to have red programmes available for the general rehearsals. We do, however, try to ensure there is a wide range of content available on the ROH website in good time before the rehearsal. For this mixed programme our pre-rehearsal website content included this article, the mixed programme Essentials, an introduction to fugues and an exploration of the male virtuoso dancer. If you're coming to a rehearsal, check in with our News section (or follow us on Twitter) to see what information might be available. For our cinema broadcasts there's also a Digital Guide available to buy, which includes a wealth of supporting material enhanced with clips and exclusive interviews. We saw Gloria last night in Fort Worth, Texas. it was wonderful. lady Macmillan was present. A night to remember.